Usually when I go camping, I bring a trashy post-apocalypse book because they are quick easy reads and I won’t be horrified if my copy falls in the mud or something, I guess? This time, I brought the Kindle, though. Which makes no sense given my prior criterion, but I think I figured what with the case it’s in and the non-delicacy of the electronics in general, probably it would be fine. Plus also, in case I had read a lot, there would be more books present without having had to carry them in my already significant pile of stuff. 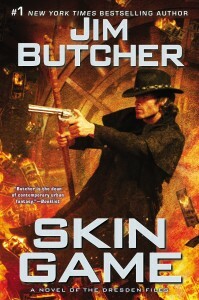 So, right, Harry Dresden. This weekend, he must face a traitor at the heart of the Wizard’s Council, his oldest enemy, the White Court of Vampires (as, okay, happens every book or three), and a Native American nightmare. Also, he has to acquire a little more power, juggle his sporadically successful love life, and continue to have two awesome pets and an awesome apprentice who could at any moment spell his own death. 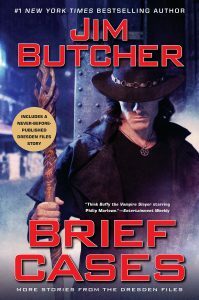 So, you know, it’s pretty much a book in the Dresden Files, and after a dozen or so, I suppose you know if you like them. I know if I do, and the answer is yes. I wonder if I will make a more solid attempt to to review these when I am reading the current one? I’d like to think so, but I would have the same problem with bloat in the ongoing storyline (not a pejorative; it’s just that after multiple years and multiple books, if an author is trying for continuity, there will be a kind of a lot of it) and spoiler avoidance whether everyone else had read the book yet or not. Possibly, these problems would even be amplified. 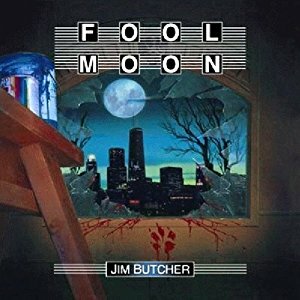 This entry was posted in Words and tagged Dresden Files, Kindle, noir, urban fantasy on June 19, 2012 by Chris. If one almost-enemy asks you to go rescue another almost-enemy, I’m not sure how the personal math on that works out. Do they add up to more than one enemy total and you shouldn’t do it? Is it a multiplier effect, and in fact you will have less enemy than ever? 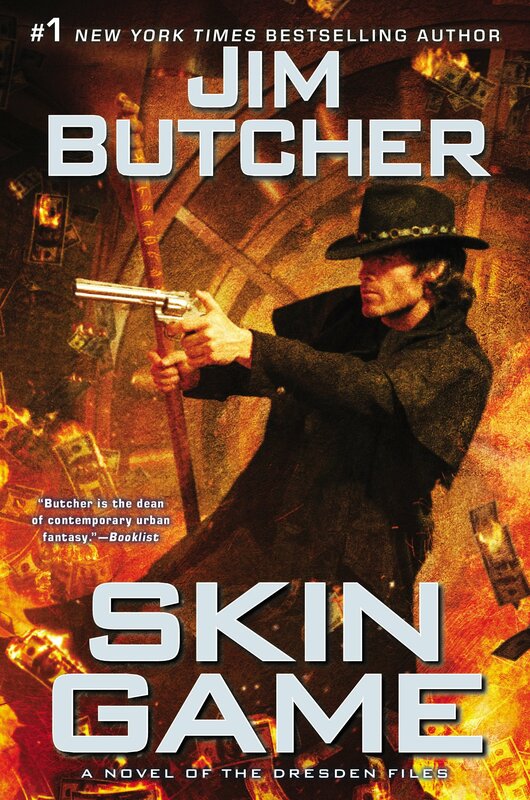 Of course, if you’re Harry Dresden, the kind of people who are asking for a Small Favor of this type are unlikely to be the kind of people you get to ignore, so it’s not like you have much of a choice. But I still wonder. This particular book had the fairies and the Knights with their special magical swords and the mob again, and the last one had vampires, so I’m assuming the next one will be mostly wizard-related. (I’m not saying there is a definite pattern, I’m just saying there might be.) Beyond that, I don’t want to say a lot about the plot, partly because it’s still a mystery series and anything I tell you is something the author doesn’t get to present just so, and partly because I am spoiler-shy about these particular books right now. 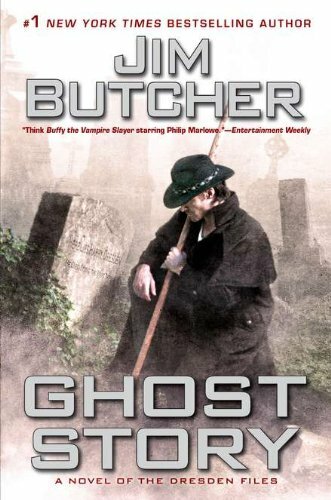 That said, the massive spoiler I have for two books from now did allow me to take note of a lot of pretty heavy foreshadowing, which mostly leaves me impressed that Butcher knows what’s coming so far in advance. I mean, it’s one thing to know he has a long term plan for the story and another to realize he knows years in advance what steps he will take along the way. So: cool. Another thing I like about this book (and I think the series in general) is how Harry is basically playing high stakes poker without ever getting a chance to look at his hole cards. 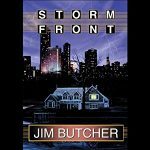 From one moment to the next, as each new horrible and/or death-defying event occurs, his move is to raise, faster than the bad guys can call. Sometimes it feels like, to slightly muddle my metaphor, the only reason the house of cards doesn’t fall is that he’s building it too fast for gravity to catch on that something isn’t quite right. The cool thing about this method of plotting is that it doesn’t give you a lot of time to think, which is fair since Harry never seems to have much either, and also any time the cards do start to fall, you feel it. A lot. And yet, it seems mostly to work. At the end of any given tale, Harry has won a little or held his ground, only rarely slipping back any. And he certainly never loses really big. Well, y’know, yet anyway. Meanwhile, though, the book? I don’t know what Roc is thinking with their new paperback design, but I want to go on record as finding them to be godawful. It’s the wrong size for shelves and the wrong shape for the words on the page. My eyes hurt before I finished the first chapter. Too tall, too thin, the angles were wrong in the same way that an eldritch Lovecraftian horror is. The upshot of this is that I am a bigger fan than ever of the problem-solving capabilities of my Kindle and also I’m still not sure how I feel about reading paper books now that the new world has opened up to me. But the next book I read, definitely. Definitely. So I’ll let you know. Also, apropos of nothing else I’ve written here besides the part with the Dresden Files tag, but I’m an ever bigger fan of Karrin Murphy. Best normal person in a supernatural series? Possibly! 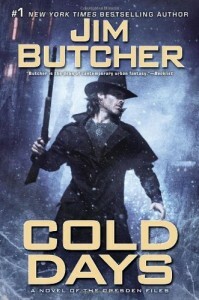 This entry was posted in Words and tagged Dresden Files, Kindle, noir, urban fantasy on January 2, 2012 by Chris.